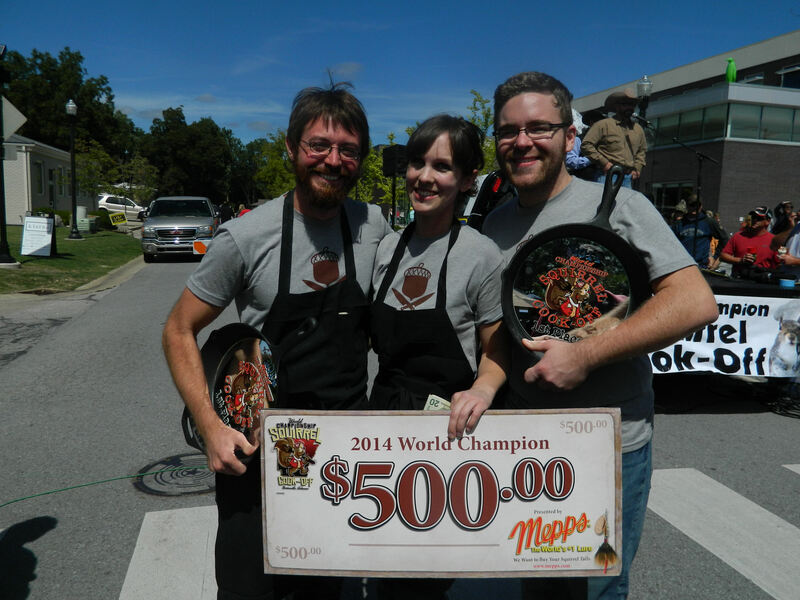 2014 World Champion Squirrel Cook Off – Wait, What?? 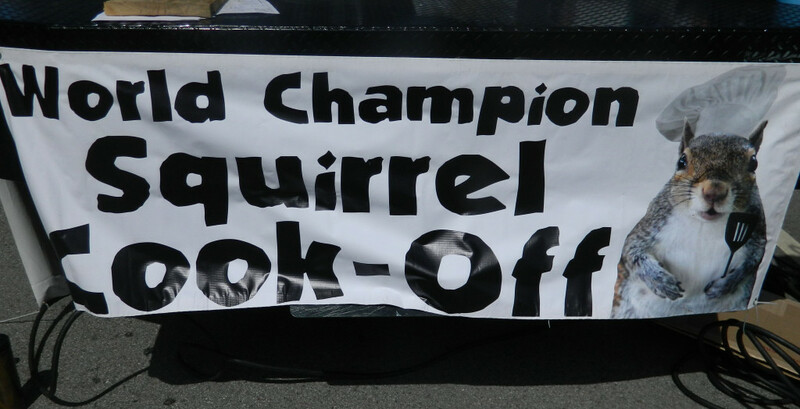 The first time I heard about the World Champion Squirrel Cook Off I thought it sounded, well, nuts. 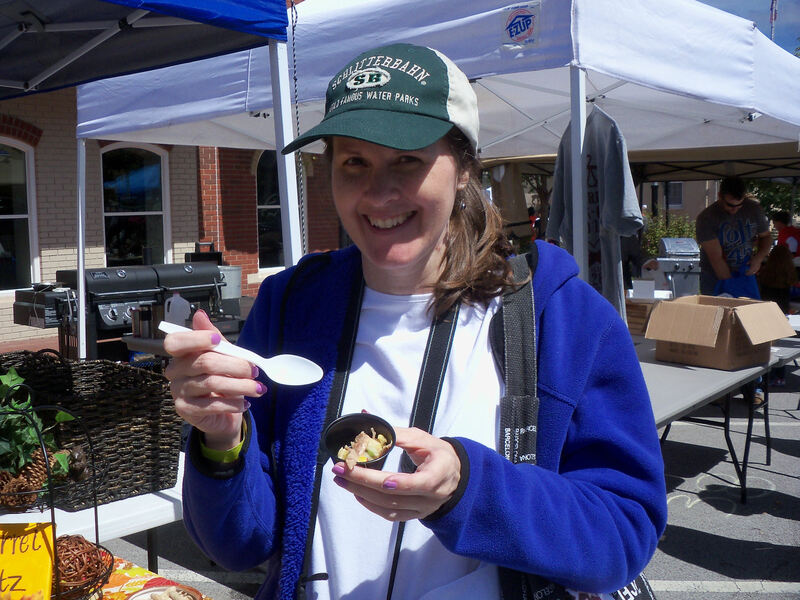 Yet last Saturday I found myself standing in the middle of a crowded festival in Bentonville, Arkansas holding a sample of cooked squirrel pot pie. How did that happen?! And more important, did I go through with trying it? Well, we’ll come back to that… But first, here’s a little info about the event. This was the third year for the Squirrel Cook Off, which attracts cooks from all over the country ready to try out their best recipes in search of money, gift certificates, and bragging rights. It has also brought in celebrity judges and guests, including the Travel Channel’s Andrew Zimmern. I hadn’t planned on attending this year. 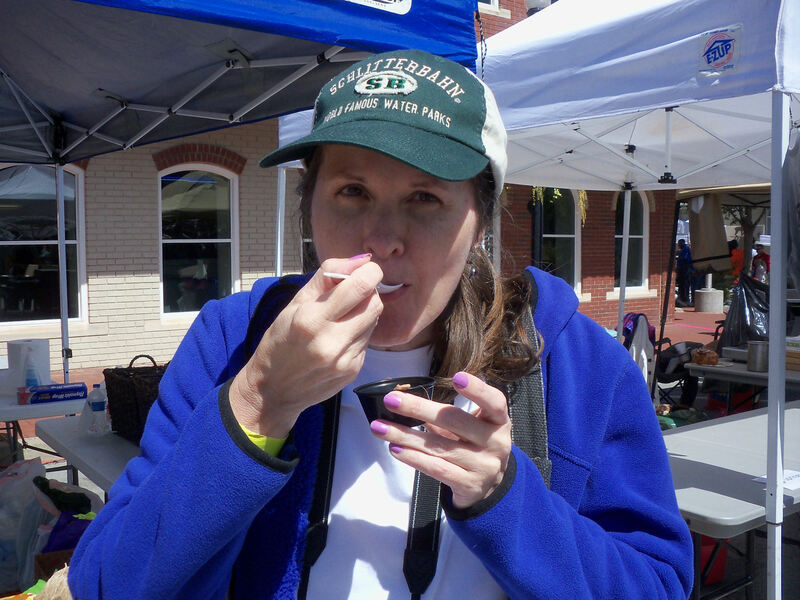 As mentioned in an earlier write-up, a group of us had come to town to taste our way around the 2nd Annual Bacon Bowl, which was held just down the street. But how could we be within walking distance of this crazy sounding event and not check it out? 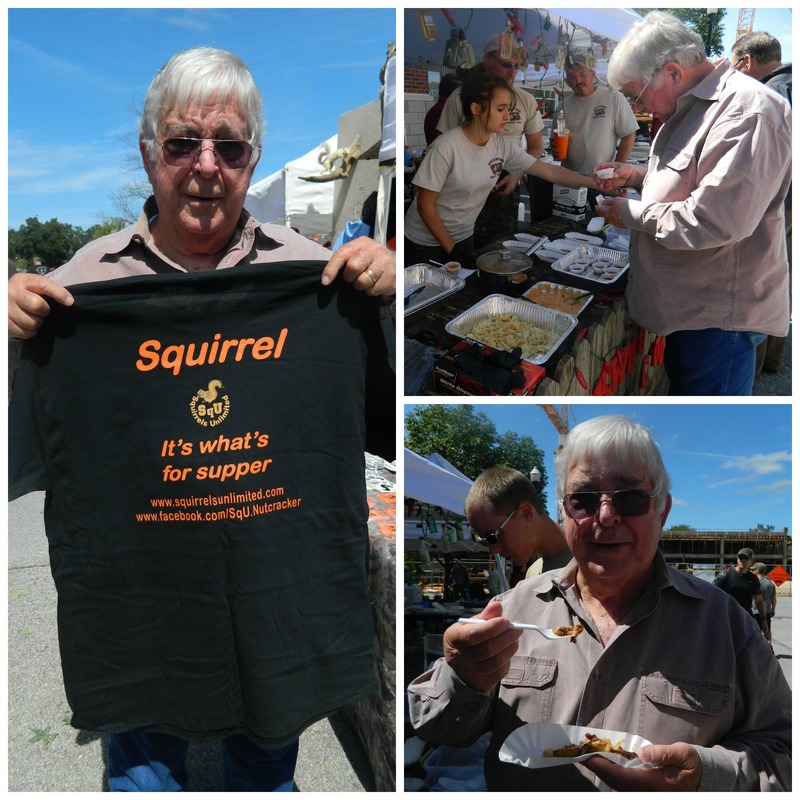 My Dad – he loved the squirrel! So as soon as the Bacon festival was over, we walked over – excited and a little nervous about what we’d find. First impression? It looked a lot like other food festivals except that it was very crowded with lots of booths and lots of people wandering around. 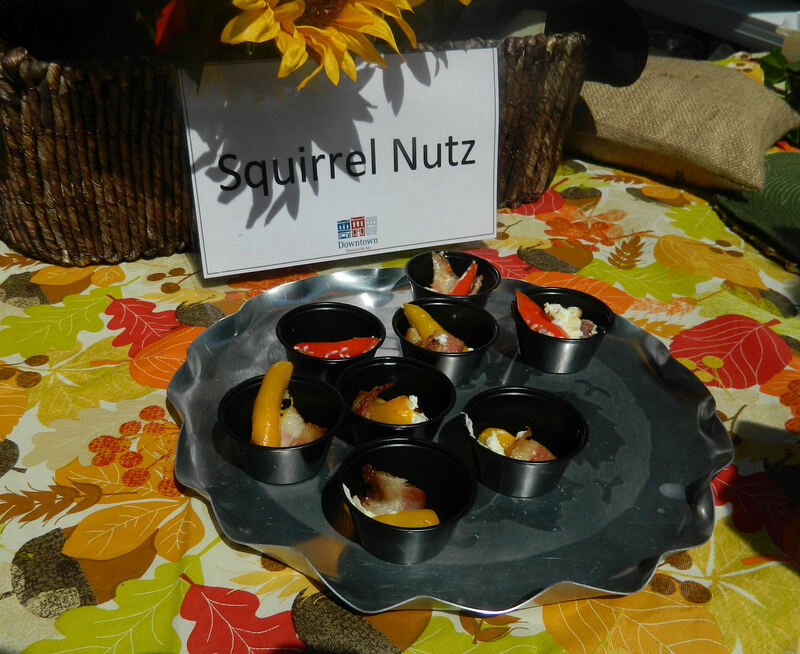 Many others were lined up, waiting for samples of all types of dishes, including squirrel ravioli, squirrel sausage, and a pretty tasty looking squirrel lasagna. By the way, there was only a 1-point difference between 1st and 2nd place. The competition was fierce! Verdict: Honestly, I wasn’t crazy about it. But then, I’ve never been overly fond of foods with a “gamey” taste. 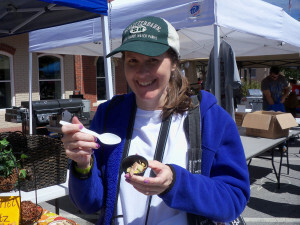 Still, it was a really fun event and I’m planning on going back next year. Oh, and I think my trying the squirrel earned me the right to wear this shirt! Two festivals in one day, in the same town. How fun. Thank you for sharing another fun event. Great story, and great pictures. 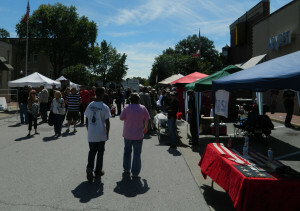 Bentonville was a rocking town on Saturday! I just heard that they also hosted a squirrel calling contest that day too. Whew! Very nice write up Deborah. It was a fun day. 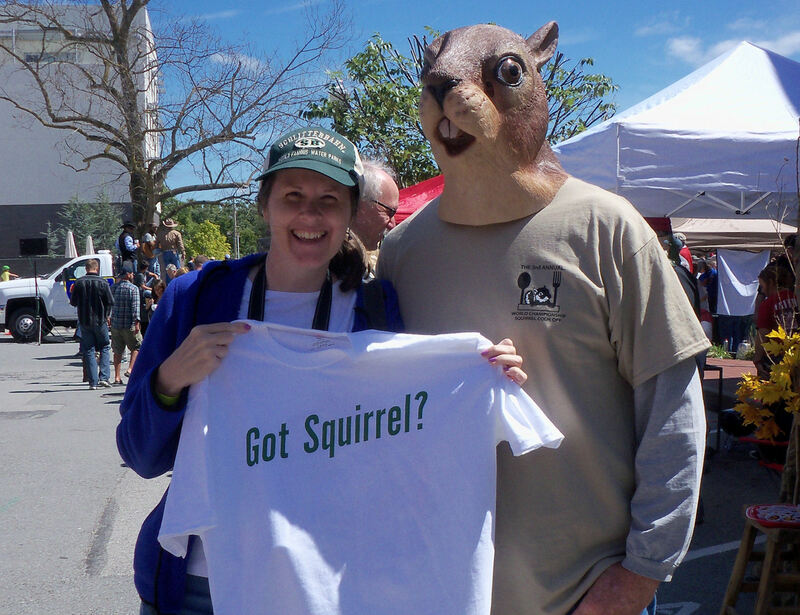 I had never heard of a squirrel festival, but am glad I got to see this. I wasn’t as brave as you, and didn’t taste it, but it was fun watching you try it. Good job. I’m glad we were all brave enough to go and check it out! Sounds interesting! 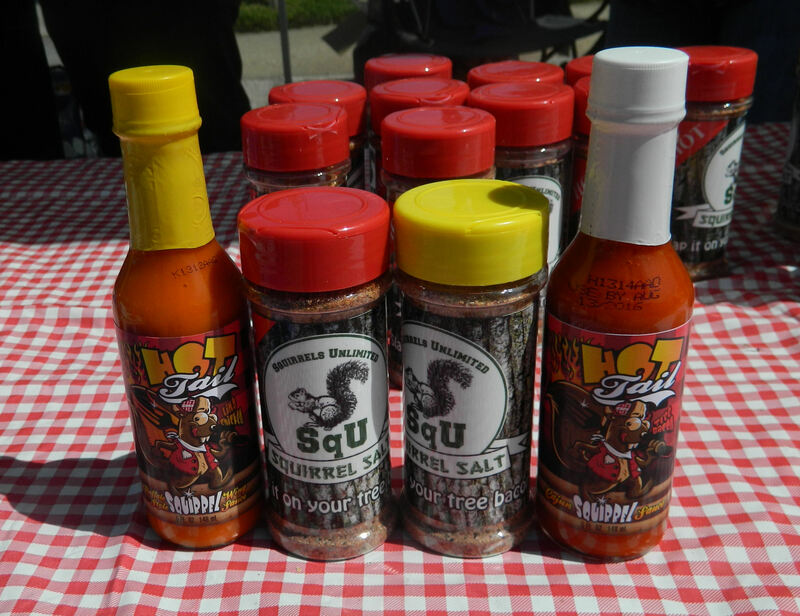 My dad and husband both enjoy squirrel but I’ve never had it. 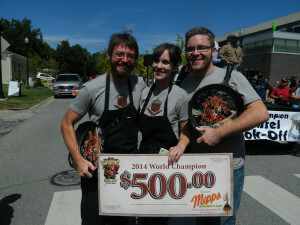 We may have to go next year and give it a try! You should go next year Brittney. I had no idea it would be so much fun. And I might (might!) even try more than 1 sample next year. Deborah, you are a world class writer and intrepid traveler as well as an adventurous gourmet. Until now, I have never doubted your sanity. Sorry, there is something about the prospect of eating a rodent of any cast that gives me pause. You are a better woman then I am. You definitely earned the right to wear that shirt! I’m not sure I would have been able to make myself eat that. Sounds like a fun day, overall! I did have a moment where I thought I couldn’t go through with it but it really wasn’t as bad as I was expecting. And seriously, I’m kind of disappointed I didn’t try the squirrel lasagna. Or my Dad’s sample of deer and squirrel chili on French fries!